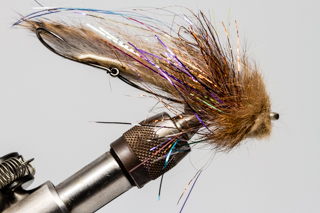 A new color combination during the fall of 2017 definitely grabbed a few nice steelhead. 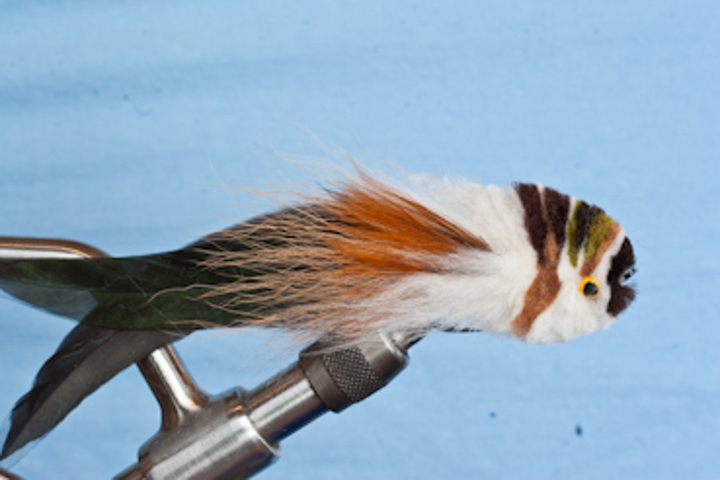 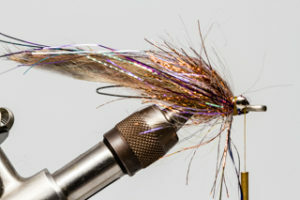 Steve Pels’ Purple Traitor Sculpin also incorporates the use of a Trout Bead instead of a dubbing ball. 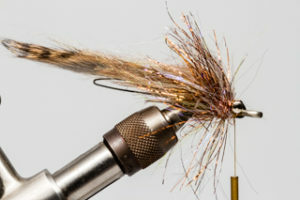 Giving the fly a slightly different look and wobble in the water. 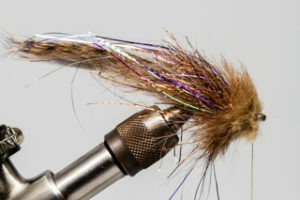 The color purple is the new black, also with some Krinkle mirror flash a very fishy product used sparsely you get a great looking swung fly for steelhead. 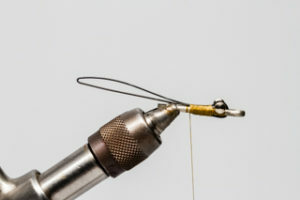 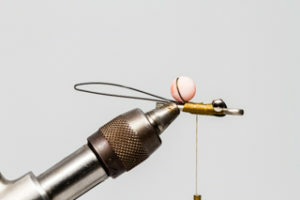 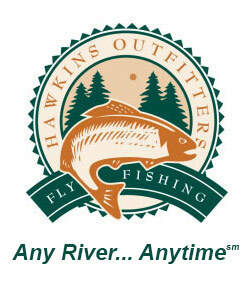 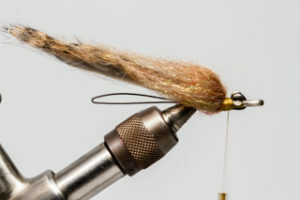 Use a 10mm Trout Bead (color doesn’t matter), as a dubbing ball for the later materials to flow around. 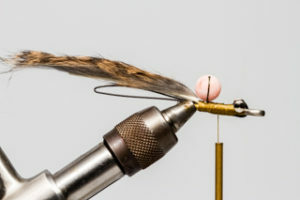 Tie in a Brown Barred Rabbit Strip for the tail.